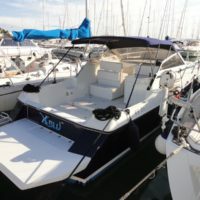 Our fleet is made up of boats in perfect condition including the highest standard of instrumentation and equipment to ensure the maximum level of reliability and comfort at sea. 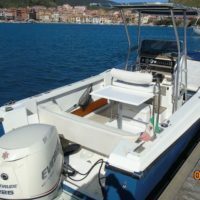 Our nautical bases are located in the marinas of Cala Galera and Porto Ercole. 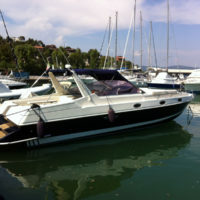 Our boat-charter terms contemplate delivery of boat at 9.00 am and returning by 7.00pm the same day. The cost of fuel is extra hiring infact the boat is delivered with full tank and must be returned in the same way or the cost of fuel will be added to the bill. 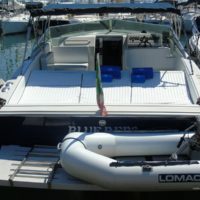 Additional free services and facilities available to our clients: undercover parking at our boatyard; shuttle service to and from the boat; supply service galley before departure; hotel and restaurant reservations. Argentario MATE is the brainchild of four friends who, merging their experience gained in over twenty years of work, dedicate their lives to the things of the sea.